With TM351 about to start, I thought I’d revisit the docker container approach to delivering the services required by the course to see if I could get something akin to the course software running in the cloud. 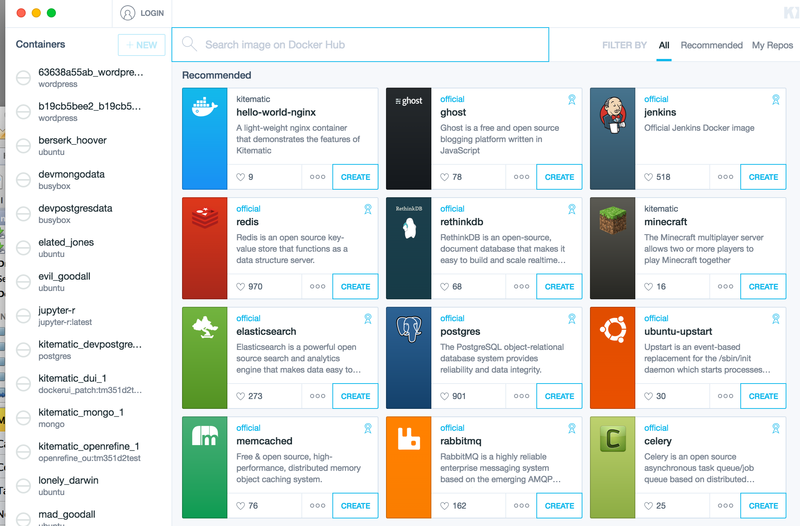 Copies of the dockerfiles used to create the images can be found on Github, with prebuilt images available on dockerhub (https://hub.docker.com/r/psychemedia/ou-tm351-*). The following docker-compose.yml file will create a set of linked containers that resemble (ish!) the monolithic VM we distributed to students as a Virtualbox box. 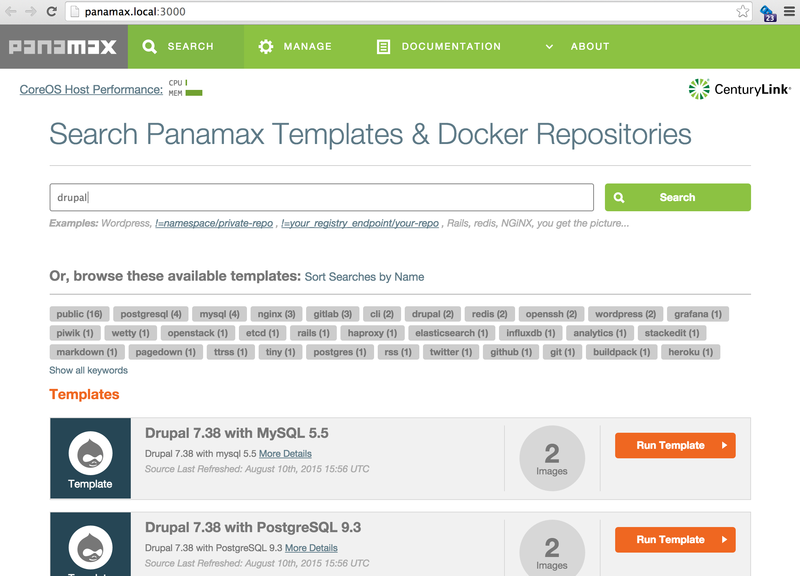 #Share same layers as the container we want to link to? 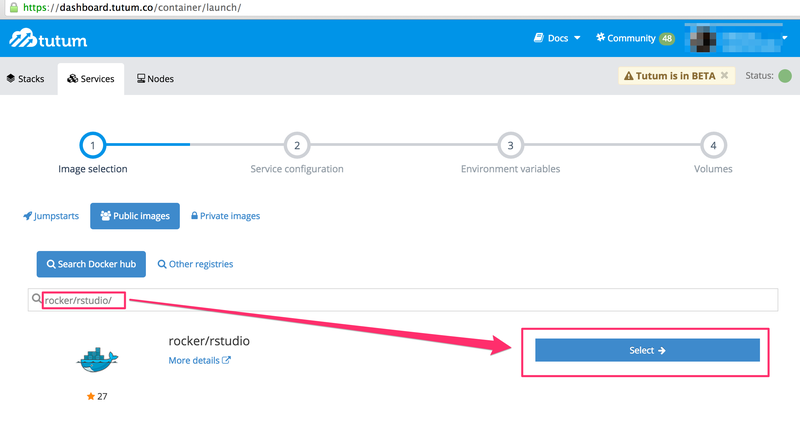 Place a copy of the docker-compose.yml YAML file somewhere, from Kitematic, open the command line, cd into the directory containing the YAML file, and enter the command docker-compose up -d – the images are on dockerhub and should be downloaded automatically. Refer back to Kitematic and you should see running containers – the settings panel for the notebooks container shows the address you can find the notebook server at. 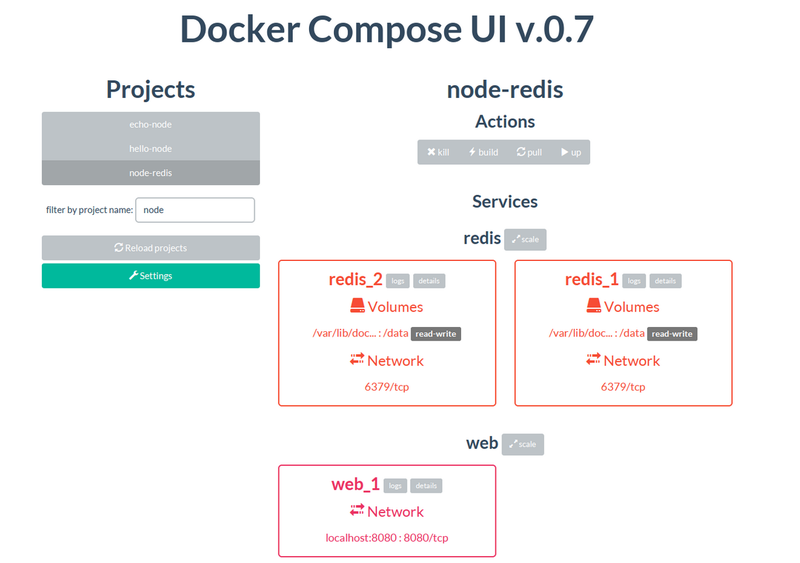 The notebooks and OpenRefine containers should also be linked to shared folders in the directory you ran the Docker Compose script from. As well as running the linked containers on my own machine, my real intention was to see how easy it would be to get them running in the cloud and using just the browser on my own computer to access them. And it turns out to be really easy. 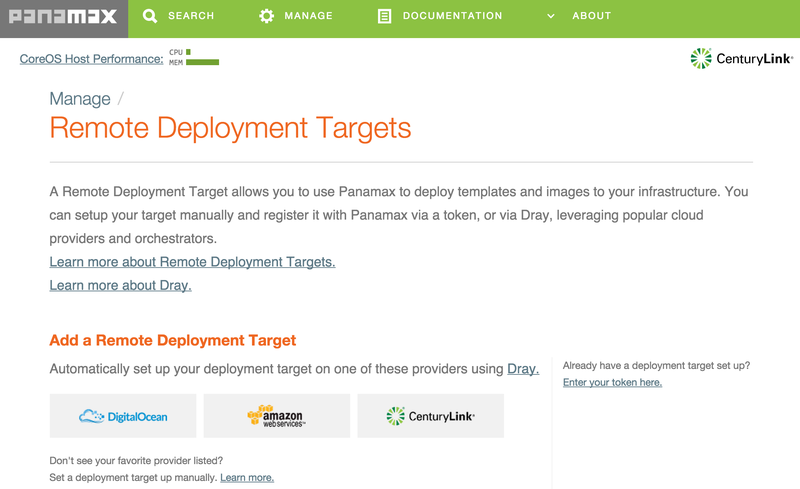 The following example uses cloud host Digital Ocean. 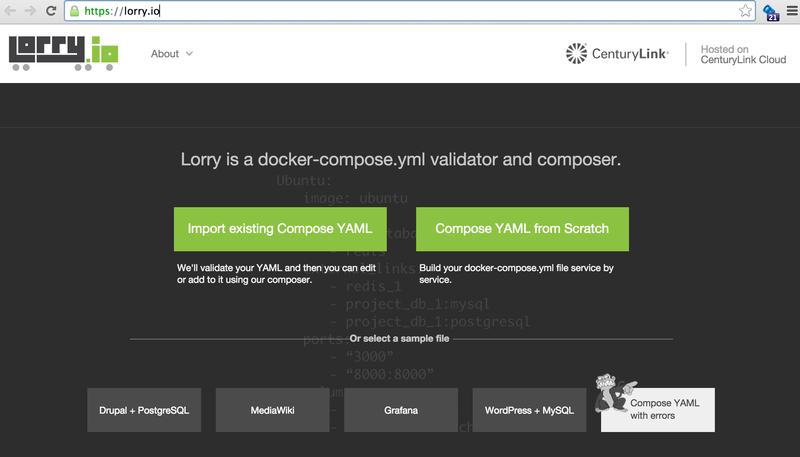 #If the docker-compose.yml file is in . So that’s a start. Issues still arise in terms of persisting state, such as the database contents, notebook files* and OpenRefine projects: if you leave the containers running on Digital Ocean to persist the state, the meter will keep running. Launch Docker Container Compositions via Tutum and Stackfiles.io – But What About Container Stashing? 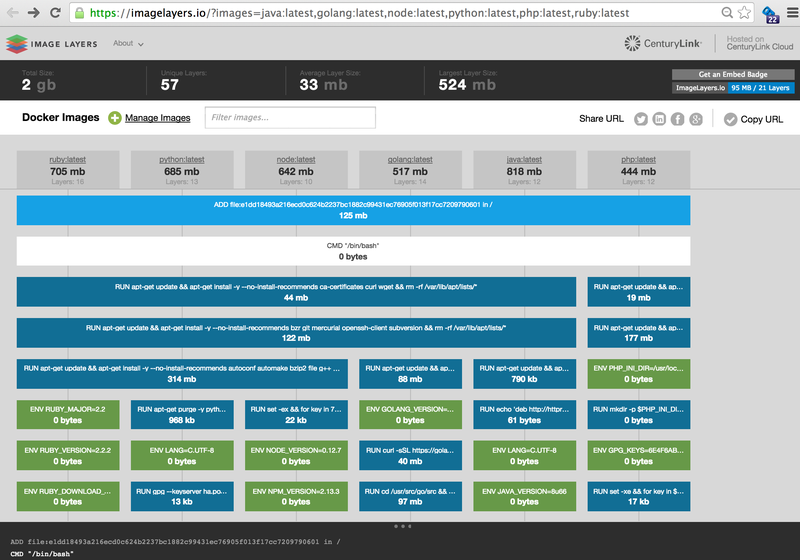 Via a couple of tweets, it seems that 1-click launching of runnable docker container compositions to the cloud is almost possible with Tutum – deploy to Tutum button [h/t @borja_burgos] – with collections of ready–to-go compositions (or in Tutum parlance, stacks) available on stackfiles.io [h/t @tutumcloud]. 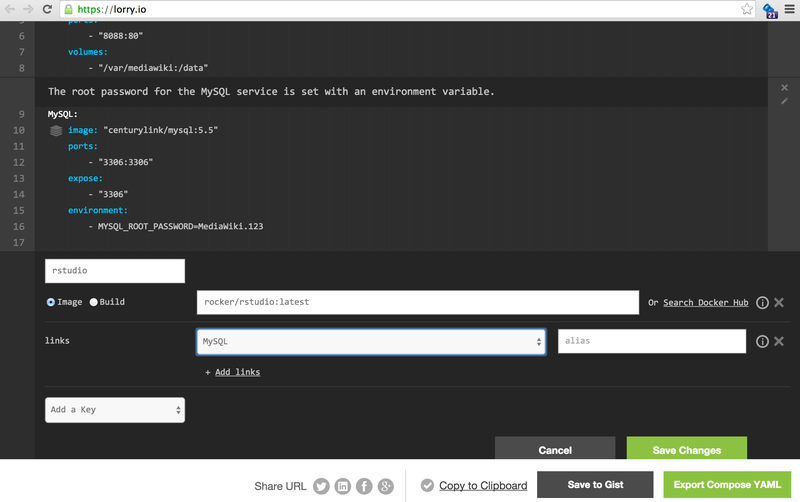 The repository – such as a github repository – will look for tutum.yml, docker-compose.yml and fig.yml files (in that order) and pre-configure a Tutum stack dialogue with the information described in the file. The stack can then be deployed to a one or more already running nodes. One of the other things I learned about Tutum is that they have a container defined that can cope with load balancing: if you launch multiple container instances of the same docker image, you can load balance across them (tutum: load balancing a web service). 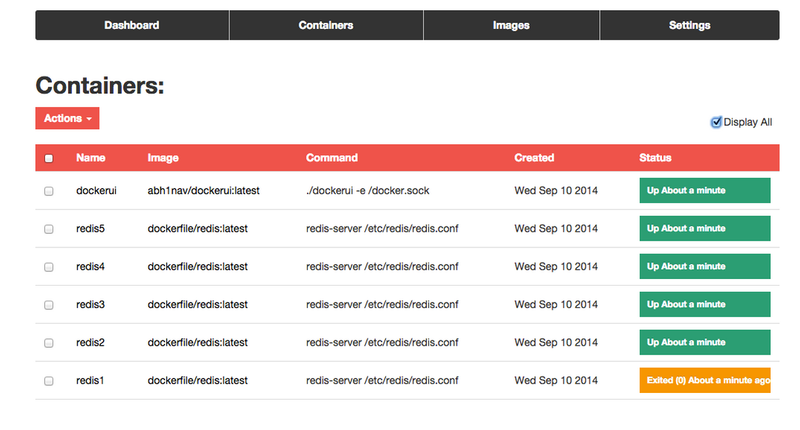 At least one of the configurations on stackfiles.io (Load balancing a Web Service) seems to show how to script this. One of the downsides of the load balancing, and indeed the deploy to Tutum recipe generally is that there doesn’t seem to be a way to ensure that server nodes on which to run the containers are available: presumably, you have to start these yourself? One final thing that niggles at me particularly in respect of personal application hosting is the ability to “stash” a copy of a container somewhere so that it can be reused later, rather than destroying containers after each use. (Sandstorm.io appears to have this sorted…) A major reason for doing this would be to preserve user files. I guess one way round it is to use a linked data container and then keep the server node containing that linked data container alive, in between rounds of destroying and starting up new application containers (application containers that link to the data container to store user files). The downside of this is that you need to keep a server alive – and keep paying for it.